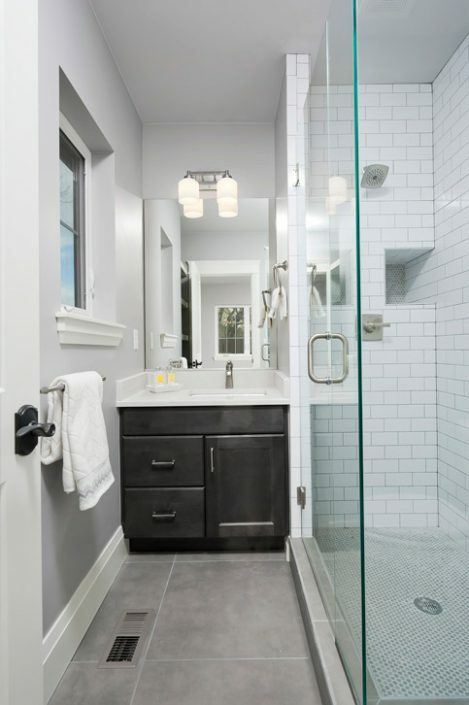 Large gray porcelain floor tiles 24×24 and classic white subway tile with gray penny rounds in niche and shower pan. Cabinet has a graphite stain. Rondec Schluter was used.